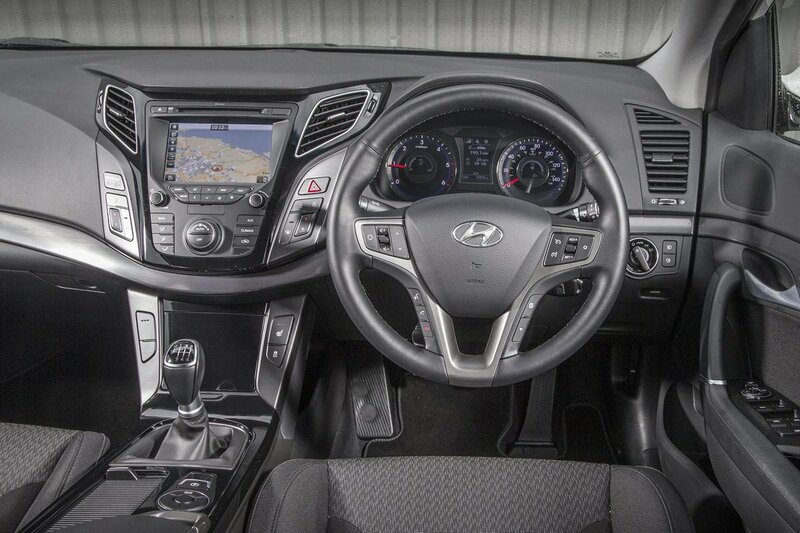 Hyundai i40 Interior, Sat Nav, Dashboard | What Car? Few will complain about the i40’s driving position. 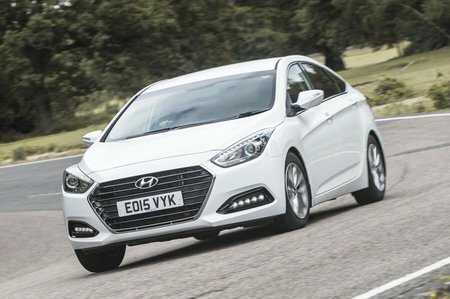 Even entry-level S models get a wide range of manual adjustment at the driver’s seat and steering wheel, while electric lumbar adjustment is standard too. Together with nicely centred pedals, the i40 makes a comfortable place in which to spend lots of time over many miles. Forward visibility is good, making roundabouts and T-junctions easy to judge, but the view over the shoulder isn’t quite as clear due to large rear pillars. 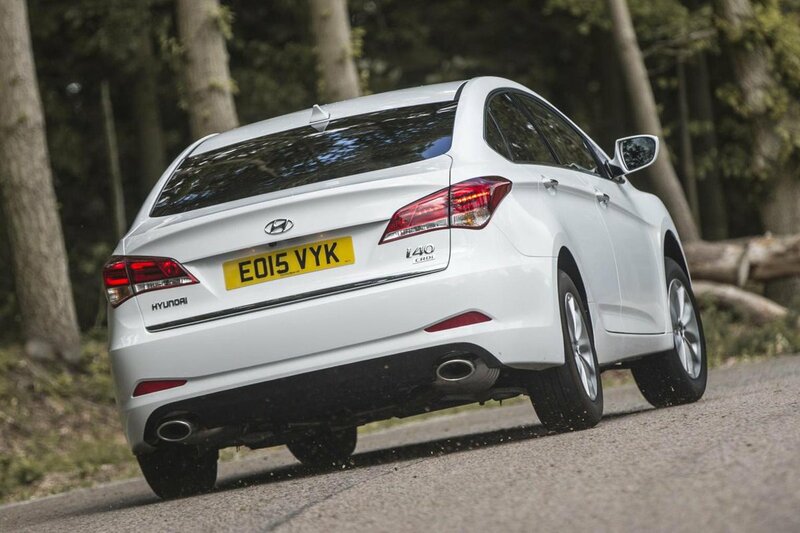 Entry-level S cars don’t get parking sensors to help mitigate this, either, so we’d recommend spending extra on SE Nav trim, which gets front and rear sensors as standard, as well as a reversing camera. You can add xenon lights to range-topping Premium models for better nighttime visibility. S models make do with a simple analogue radio, but step up to our favourite SE Nav trim and you get a 7.0in touchscreen infotainment system. It’s easy to follow the system’s menus and the large on-screen buttons are easy to hit, but its fairly low-resolution screen is looking a little outdated next to other executive car systems such as Skoda’s. The i40 is feeling its age in terms of interior quality, too. Everything is solidly constructed, but there are too many buttons littered around the dashboard, and the plastics and switches look and feel cheap next to rivals from BMW, Audi and Mercedes-Benz.